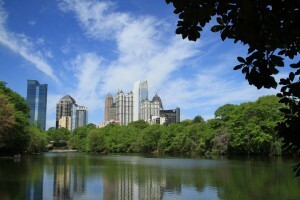 Photo Courtesy of Laura Miller A recent report shows Atlanta to be one of the top markets in the country to invest in a home. Ingo Winzer, president and founder of Local Market Monitor, said in a statement released by the company, "These markets also have strong home price appreciation, but are still underpriced by as much as 28 percent." Of course, if you're looking in highly-sought-after Intown Atlanta neighborhoods or Buckhead, you may have a more difficult time finding a deal. These areas have already rebounded in price due to strong demand. By contrast, some of the suburbs are still playing catch up, but the trend is positive.